It is unclear to me if this is an actual documentary or if it was staged. It seems genuine enough at first, but the girl who won't remove her burqa says some things that are a little too eloquent for such a young child. Either way, I guess the film does a fair job of exposing the problems facing Afghan refugee children in Iran, fleeing the Taliban and the war. I didn't find it terribly interesting, not as much as the other Makhmalbaf films I've seen. But at least it's short and to the point. Director: You cannot free a woman who is imprisoned in the burqa with a rocket. The Afghan girl needs education. She does not know that she does not know. She is imprisoned but she does not know that she is a prisoner of poverty, ignorance, prejudice, male chauvinism and superstition. 95% of the women and 80% of the men in Afghanistan did not have the chance to attend school even before the Taliban. 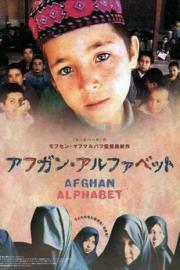 The film seeks the lost key to be able to open the lock of the cultural problems of Afghanistan.